A bank is essentially an intermediary of short-term investment/funds. It can carry out extensive lending/investment operations only when it can effectively mobilize the savings of the community. A good banker is one who effectively mobilizes the savings of the community as well as makes such use of savings by making it available to productive and priority sectors of the economy thereby fostering the growth and development of the nations’ economy. 1. Al-Wadeeah (Current Account): The word ‘Al-Wadeeah’ has been derived from the Arabic word ‘Wada’yn which means to keep/to deposit/to give up/Amanat. As per Shariah , Amanat means to keep something (goods/money/others) to any reliable person/institution for safe and secured preservation of the same keeping its ownership unchanged and which will be returned to the owner of the fund on demand as it is/in original shape. In case of Amanat Bank/any other institution cannot use, invest and amalgamate the funds without the prior permission of the owner of the Amanat. Govt. excise and incidental charge realize from this a/c as per rule. word ‘Darb/Darabun’. Literally it means movement to earn profit (munafa). It is a form of partnership where one of the parties called the ‘Shahib-al-mal’ provides a specified amount of capital and acts like a sleeping or dormant partner, while the other party called the Mudarib (entrepreneur), provides the entrepreneurship and management for carrying on any venture, trade, industry or service with the objective of earning profit. The Mudarib is required to work with honesty and sincerity and to exert the maximum possible care and precaution in the exercise of the functions. The following formalities must be maintained by the customer for opening of differenttypes of account. g) If the letter of thanks is returned back, without delivery for nonavailability of address or person, it must be marked on this letter and to be informed to the computer department. vii. Accounts mandate-regarding drawing, survivorship, power to overdraw and other matter, i.e. for withdrawal of goods kept for safe custody, separate mandate from surviving persons, closing of debit a/c, stopping operation of a/c after instantly of any person, obtain receipt made by survivors and representatives of deceased persons. iii. Two or more person can form a partnership firm by partnership deed. vi. Insolvency of the partner: If the balance is in debit, the a/c must be closed and the debt should be proved to the receiver. If the a/c is in credit the other partners may continue the account. Any cheque previously drawn by the partners maybe paid on the confirmation of the partners. vii. may be allowed to continue the same but the bank should take fresh mandate from other partner but if the account is in debit then themAccount must be closed to determine the liability of the deceased’s estate. _ Prohibits any invitation to the public to subscribe for the shares, if any or debentures of the company. property under a trust deed. ii. Introduction of any current account/ Savings account holder. Interested customer would collect ATM Account Opening Form from the concerned branch and submit it along with the Card Fee of Tk.500/= (Taka five hundred) only. Customers can withdraw any amount multiplied by Tk.1000/- per instance subject to fulfillment of the above conditions i.e. Tk.1000/=(Taka One thousand One thousand), Tk.2000/=(Taka two thousand), Tk.3000/=(Taka three thousand) and maximum Tk.5000/=(Taka five thousand) per instance and maximum withdrawal limit Tk.20,000/- per day. If you want another transaction, press YES or press No to end transaction. The cash section deals with all type of negotiable instruments. It also includes the Vault which is used as the store of the cash instruments. The vault is insured up to a certain amount, which is called the vault limit; the excess cash is then transferred to Bangladesh Bank. The IBBL, Gulshan Branch Vault limit is 1.5 crore. When the excess cash is transferred, the cash officer issues IBDA. The vault counter is around 35 lacs. Any client who wants to deposit money will fill up the deposit slip and give the form along with the money to the cash officer over the counter. The cash officer counts the cash and compares with the figure written in the deposit slip. He then puts his signature on the slip along with the ‘cash received’ seal and records in the cash receive register and also in the computer against the account holder. The picture below (Fig.1) shows a typical cheque issued by banks. The place where banks meet and settle their dues is the clearing house. The clearing house of the IBBL, Gulshan Branch, 42 Motijheel is the local office. Outward Cheques: These cheques are received on the counter from other banks. In the first case, these cheques are directly sent to the respective branch and requests them to send IBCA (Inter Bank Credit Advice) by which a branch credits the account of another branch. No clearing house formalities are necessary here. When IBCA comes, then customer’s accounts are credited of the amount for the cheque. In the second case, the cheques are sent to the clearing house. When the drawee bank honors the cheque then the account of the depositor against the cheque is credited. In the third case, two procedures exist. First way, if the bank exists within the clearing house area of the drawer bank, then we send the cheque to that branch of our bank and that branch collects the proceeds through clearing house formalities and sends an IBCA to us. In the second case if there is no branch of our bank, then we directly send the cheque to the drawee bank and request them to send the cheque to the proceeds by TT, DD or by other means. OBC are those cheques drawn on other banks which are not within the same clearing house. An officer gives OBC seal on this type of cheques and later sends a letter to the manager of the branch of the same bank located in the branch on which cheque has been drawn. After collection of that bill, branch advice the concerned branch in which cheque has been presented to credit the customer account through IBCA. In absence of the branch, officer sends a letter to the manager of the bank on which the cheque is drawn. That bank will send pay order in the name of the branch. This isthe procedure of OBC mechanism. 3. It is payable on demand. 4. Its payment is to be made to the person whose name is mentioned in the instrument or according to order. In other words, it can not be made payable to the bearer. should be filled in properly. 3. Total amount should be deposited by the party in cash or cheque as per arrangement. 4. Printed DD block/leaf to be filled in by a bank official as per request of the purchase i.e. Telex/Telegram charge should be realized from the customers. of the draft are checked with the advice and signature(s) therein verified. 3. Verification of Test no. is to be done. 4. In case the advice is not received when the draft is presented, the bank will pay the draft, after satisfying itself that the instrument is in order. However, on payment of a draft in the absence of the relative advice the drawee branch should inform the issuing branch and obtain confirmation about the payment. 5. The drawee branch should ensure that the payment of the instrument is made in due course. 6. As the demand drat is payable to order it is duty of the paying branch to obtain identification of the payee if payment is desired over the counter. 7. If the DD is presented through a bank, the endorsement appearing on the instrument should be prima-facie in order of certified by the collecting banker. 8. Though there is no time limit for presentation, the paying bank should put an enquiry if a draft is presented after a reasonable period say 6 months. Such draft may be paid if the collecting banker certifies that amount has been credited to the payee’s A/c in absence of such a certificate, it would be advisable to return the draft for revalidation before payment. 2. Total amount should be deposited through cheque/cash. 7. PO are required to be discharged by the beneficiary where applicable on revenue stamp of appropriate value against in cash or through account. Bangladesh is a country suffering from immense social, political, economic and environmental issues and these issues need to be addressed for the overall development of this country. However, the economic development is one of the prime factors, which can resolve many of its current problems. The growth of business sectors and open market economy has created a great opportunity for Bangladesh for its development. The contribution of the banking sector is playing significant role in the development of this country. However, the emergence of Islamic banking in Bangladesh has added a new height in the banking sector. The Impact of IBBL seems to be magnificently surpassed among all the Banks in Bangladesh during last one decade. IBBL has significantly contributed it the employment generation in Bangladesh. This bank has employed over 10,000 people directly and a few million indirectly through financing in business including import-export, industrialization, SME financing and Rural development projects. So, it can be apprehended that a few million families are directly and indirectly benefited from IBBL and they are also contributing in the economy as a part of the whole economic system of Bangladesh. Remittances by migrant workers’ earning sent back from the country of employment to the country of origin, play a vital role in the economies of many labor sending countries. Also remittance help in macroeconomic development process in the home country as the remittance provide significant sources of foreign currency, increase national income, finance imports and contribute to improve the balance of payment situation. Demand for migrant workers’ remittances to Bangladesh has now increased tremendously. FY 2010-11, remittance inflow to Bangladesh was 82,992 crore taka (US $11.53 billion). Because of clients’ confidents on the performance, remittance of the IBBL’s grew at 10% to 21,463 crore (US $2.98 billion) with 28% market share and helping Bangladesh economy to become healthier. IBBL plays significant role in the Bangladesh’s international trading business. IBBL is helping the economy by providing assistance in importing raw materials on one hand. On the other hand helping the export business and earning foreign currency for Bangladesh. Import: During the year 2010 bank opened 46,736 import Letters of Credit for Tk.24,628 crore against 38,717 Letters of Credit for Tk. 16,123 crore in 2009 showing 53% growth in amount. Major items of import consist of raw cotton, yarn, fabrics, capital machinery, fertilizer, metal, motor vehicle, chemicals, edible oil, rice, scrap ship etc. Export: During the year 2010 bank handled 46,699 Export Bills for Tk.14,842 crore as against 44,291 Export Bills for Tk. 10,642 crore in 2009 showing 39.46% growth in amount. Major export financed items are readymade garments, frozen foods & vegetables, jute & jute goods etc. As per Investment Policy of IBBL, top priority has been given towards the Industrial development of the country. The Bank’s Investment portfolio is gradually being increased towards industrial finance along with commercial investment. IBBL’s investment in industrial sector is substantially higher compared with those of other commercial Banks. IBBL has taken massive initiative to invest under the Housing Investment Scheme for the eligible citizens major metropolitan cities. With limited income, upper middle class and middle class can take the advantage of this program. This program is popularly known as Hire Purchase under Shirkatul Melk. Investment through this mode is solving accommodation problems in the major cities at the same time contributing to the economy through a wide range of backyard linkage industries including rod, cement, wood, tiles & fittings, equipment (like lifts and generators) as well as employs a large number of construction related staff. IBBL provides health care through six fully owned hospitals, 7 community hospitals consisting of 1,021 beds, 561 doctors and 411 staffs. In addition to these hospitals, it has been organizing mobile eye camps and charitable dispensaries. Thousands of patients, especially middle class and lower middle class families take benefits of these hospitals every year. IBBL should increase its manpower level. Additional and skilled manpower in the officer and staff level should be recruited in an urgent basis. Efficient manpower should be recruited with having strong academic background of the related subjects. ATM Booth should be established. More equipment like Note Counting Machine, photocopier etc. should be brought. Specialized services to be undertaken to the customers. IBBL should try to reduce their disbursement timing. Arrangement of monthly /quarterly training courses /workshops for the selected by the authority in order to promote employee to their desired level. More technological instruments should be brought for smooth working speed. More furniture should be brought to the Branch, like chairs, cabinet etc. To avoid the gathering of customers during the first hour of the working days, shift working system of the employees should be started. Shift- wise working may also reduce over work pressure on one’s own account. Proper job appreciation should be done by providing performance based awards etc. Marketing expertise should be recruited. IBBL needs to increase the job satisfaction level of its employees by providing several performance based awards. Enhancement of remuneration package should be competitive and attractive. Employees should be properly learnt about the mission and vision of Islamic Banking, thus will implement their job in that way. 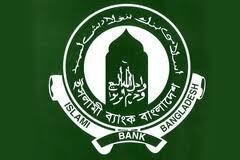 The authority of IBBL should conveyance pressure on Government bodies to run proper and sufficient application of Islamic Banking law in Bangladesh. The Bank should arrange wide varieties of regular programs about Islamic Banking Function countrywide to remove the negative impression about IBBL. IBBL should utilize “Internship Program” as one kind of promotion policy. To do so this Bank should provides facilities to the internees through proper placement and practical operations as well as job certainty to those who bring introduce themselves the best performers in doing their particulars. IBBL should try to attend different types of target customer. Maximum clients do not know about IBBL’s Foreign Exchange Policy. They should carryout more promotional activities to make clients aware about their offers. It was observed that, IBBL is absent in various marketing activities like TV, Print Media, Bill Boards, and Sponsorships etc. Bank should advertise about itself so that it can attract more clients that will increase the business volume of the bank. Making the Shariah Inspection strong regarding all type of foreign exchange activities of the bank.